The trip from Vancouver to Oslo was fairly uneventful and, if not entirely comfortable, not entirely unbearable, either. There were 20 minutes of near-panic when I was hemmed in by my carry-on bag at my feet, the guy reclining in front of me, and the GIANT Croatian guy sitting next to me, whose legs spread into typical man-sitting position when he fell into a thunderous, snoring sleep. Fortunately, I was able to move my bag to another nearby seat and the fellow in front of me obliged me by raising his seat back a couple of inches, so I had a little room to breathe for the 9-hour-and-20 minute flight. My parents and my Oma greeted me at the airport and we set off right away to see a few sights and find some supper. My dad had spotted a sign earlier in the day advertising a Norwegian whalemeat dinner, so we sought the place out. I tried muktuk (whale blubber) once in my high school days in Iqaluit, but had never actually tried whale meat. I can now say that I’ve tried it, but I don’t think I would jump to do it again. It’s really kind of a red meat and has quite a strong flavour that I wasn’t overly fond of. The my dad took me for a quick jaunt over to the new Norwegian Opera House, opened just 4 years ago. 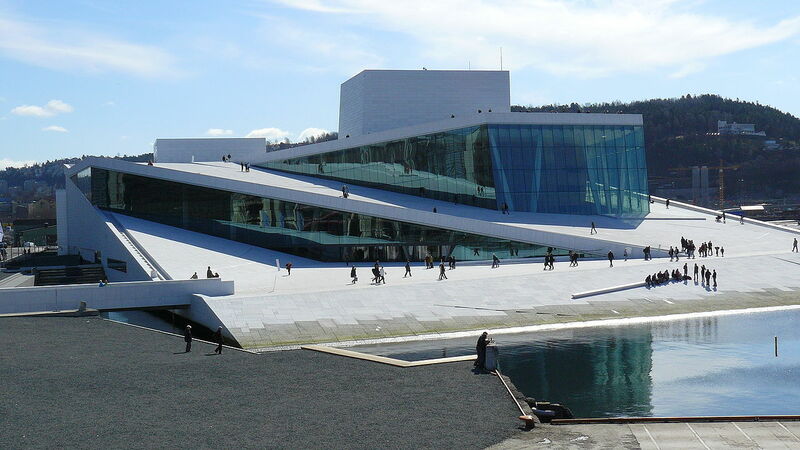 It is designed to look like an iceberg and you can walk from street level right up to the roof! The inside is beautiful, too, although I can only attest to the lobby and the bathrooms. After that, we drove to the B&B where I was able to shower off the travel grime and attempt to recover from jet-lag. 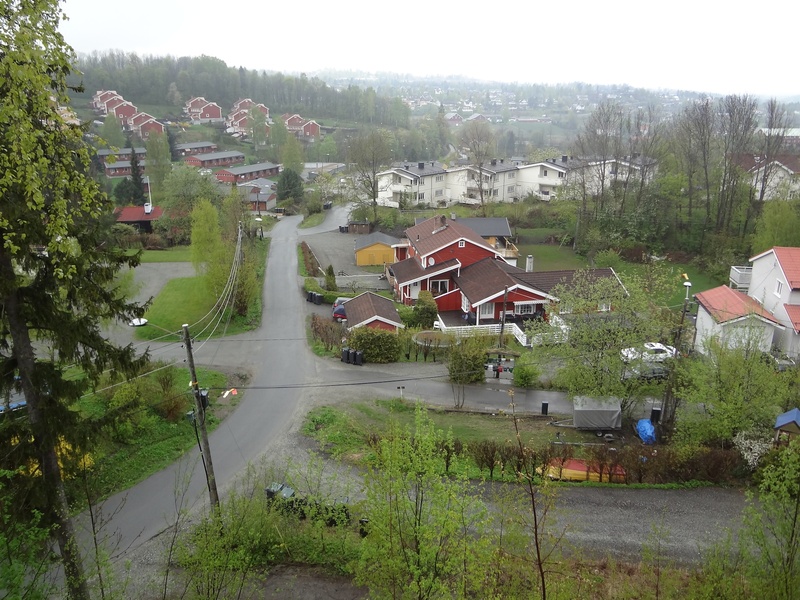 This morning, I looked out the window of my room and was greeted with a hazy mist, spring green, and colourful houses. Driving into Oslo later in the morning, I was continually struck by the architecture: an interesting house here, a round building there, a slanted one over there. But driving along at high speed on narrow and windy roads is not conducive to great photos, especially when combined with a slow, jet-lagged, and head-cold-affected brain that registers a second too late that the camera must be switched on. 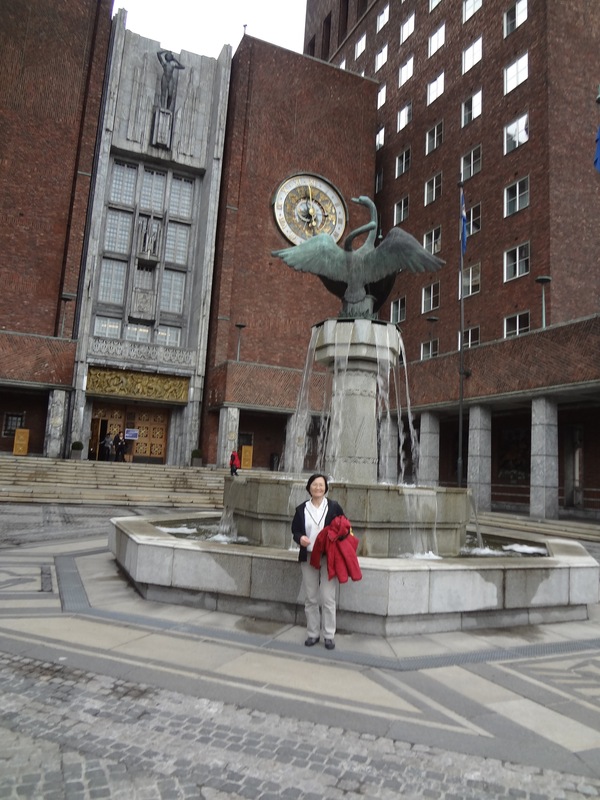 After breakfast, I made a quick stop at Oslo’s City Hall. Imagine the party you could have in here! 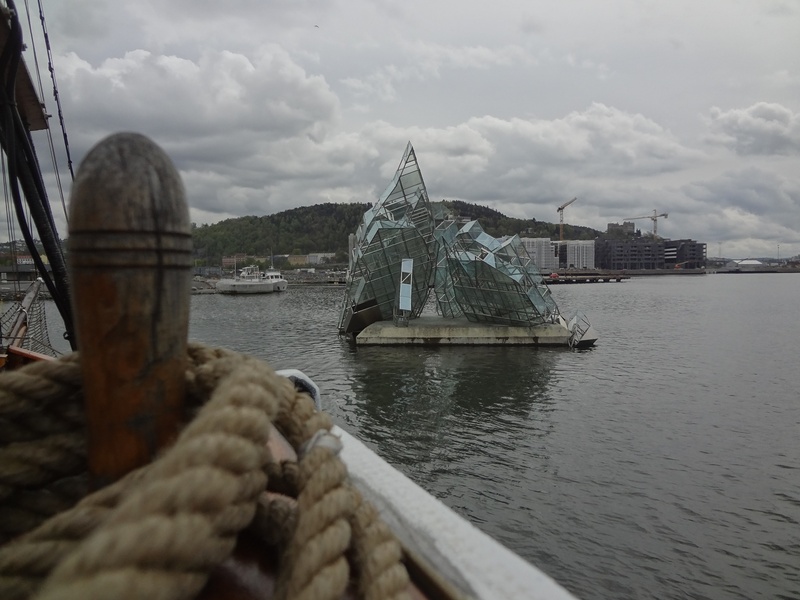 Next we jumped onto the “Jomfruen” for a little sailing tour of the Oslo Fjord, including a close-up of the Opera House and the floating sculpture that lies next to it. 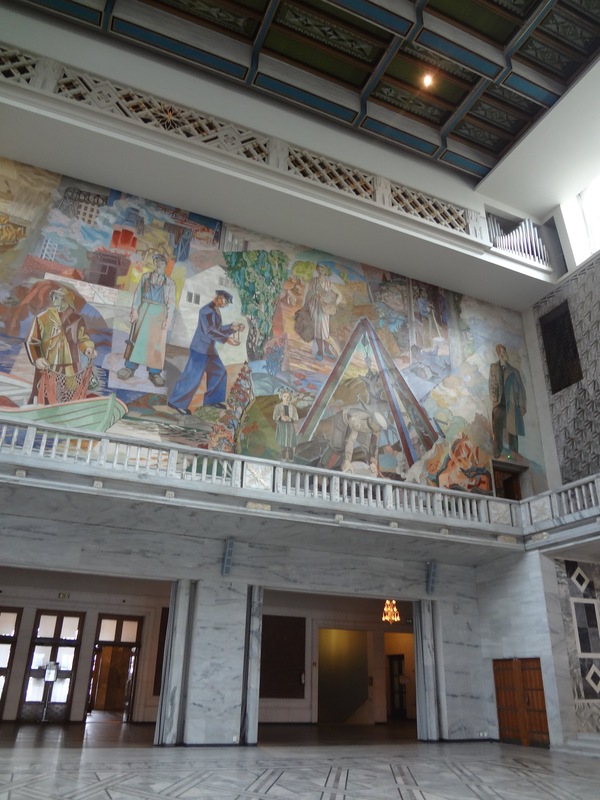 We jumped off on the opposite side of the Fjord so that we could visit a couple of amazing museums. 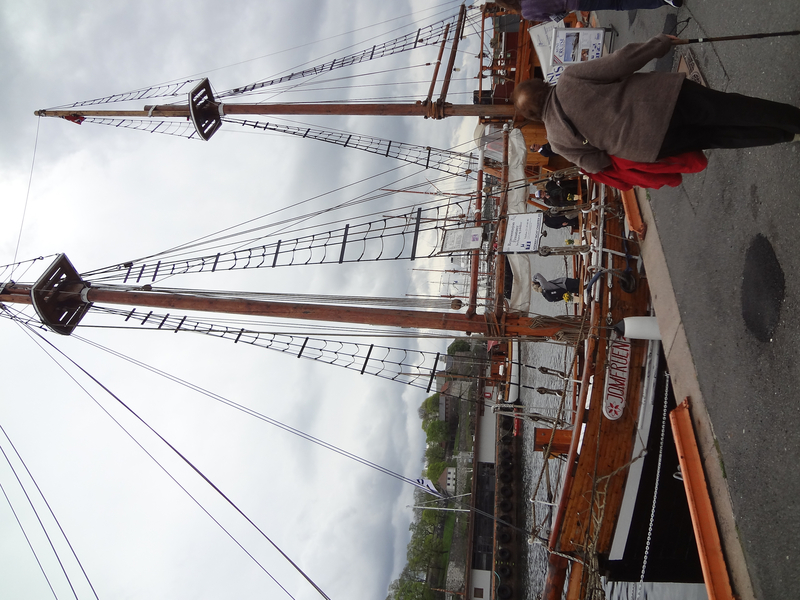 Not sure this sailboat ever gets to be under sail, but it was a lovely ride around the Fjord. 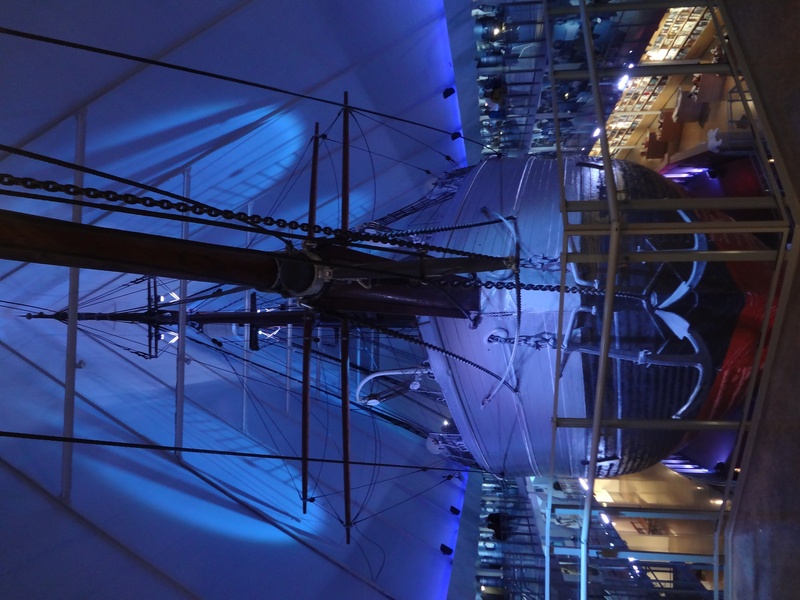 First there was the Fram Museum, which appears to have been built around the huge boat inside it, the Fram, used by Fridtjof Nansen for both polar expeditions at both ends of the earth. The museum also covered information about Roald Amundsen’s expedition to the North Pole, and also a boat (called the Gjøa) that was taken to Gjoa Haven, Nunavut about a hundred years ago. Fascinating stuff! After that, we walked a kilometre or so to check out some Viking ships that had been excavated out of burial mounds. 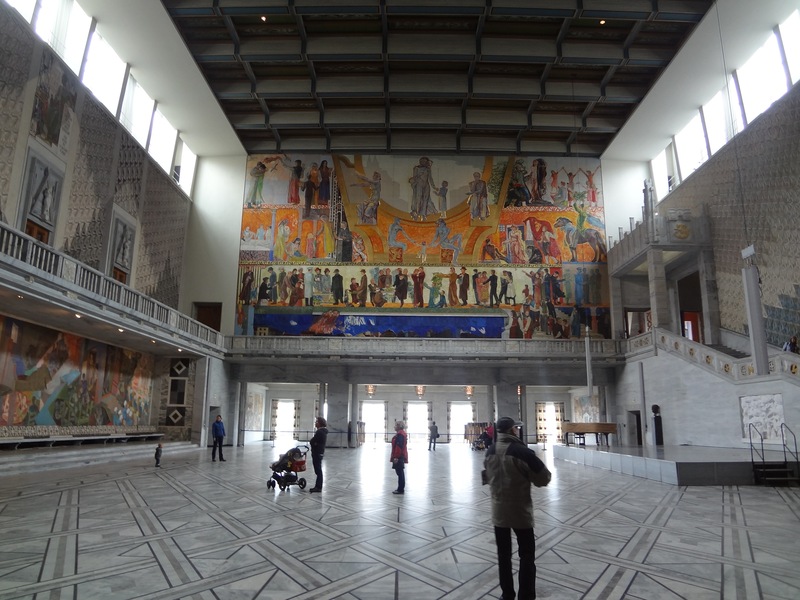 It’s after midnight now, so I’ll gloss over the Nobel Peace Centre (amazing, too!) and the fantastic dinner we had. Tomorrow we’ll drop my Oma off at the airport so she can fly home to Germany. It’s been wonderful seeing her. Our friend Marina will also join us as we head for the first stop on our driving tour. We’ll be driving between 8 and 11 hours each day, so not sure how much blogging I’ll fit in.